Harmonix fulfills their promise to export legacy tracks for Rock Band 4, allowing players to download 47 songs from the first Rock Band. Currently, this is only available for PS4 players, but Harmonix has stated that it will eventually arrive on the Xbox One. In order to download the tracks, players need to use the same profile that completed the export offer. If you didn’t already complete export the tracks, unfortunately you are out of luck. The developer does not have plans to make the export offer available again at this time. Not all of the tracks from Rock Band 1 were able to make the trip. 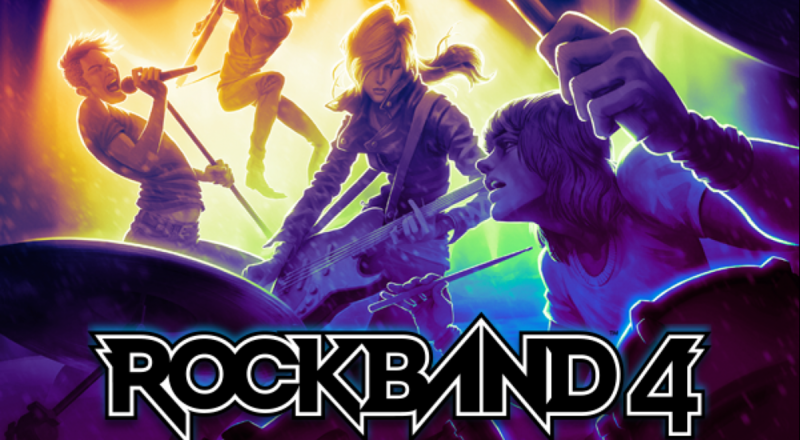 "Run to the Hills” by Iron Maiden must be repurchased through the Rock Band 4 store, while "Paranoid” by Black Sabbath, and "Enter Sandman” by Metallica cannot be exported or purchased. "Blood Doll" by Anarchy Club, "Pleasure (Pleasure)" by Bang Camaro, "Can't Let Go" by Death of the Cool, "Brainpower" by Freezepop, "I Get By" by Honest Bob and the Factory-to-Dealer Incentives, "Day Late, Dollar Short" by the Acro-brats, "Outside" by Tribe, and "Seven" by Vagiant are also unavailable at this time, but they are expected to make the transition at some point in the future. We are still waiting to play Rock Band 2, Green Day: Rock Band, and Lego Rock Band which have also been promised. Xbox One players already have access to Green Day: Rock Band. Getting the tracks is as easy as going to "Get More Songs" on the main menu, selecting "Exports” at the bottom, and downloading the "RB1 Export Pack." At this point it will double check that you already exported the tracks. This will be free, unlike the $14.99 Rock Band 3 export. Page created in 0.4094 seconds.